It wasn't a typical Wednesday night! Two friends from the UK were in town, and this rather interesting installation was suggested for our evening excursion. 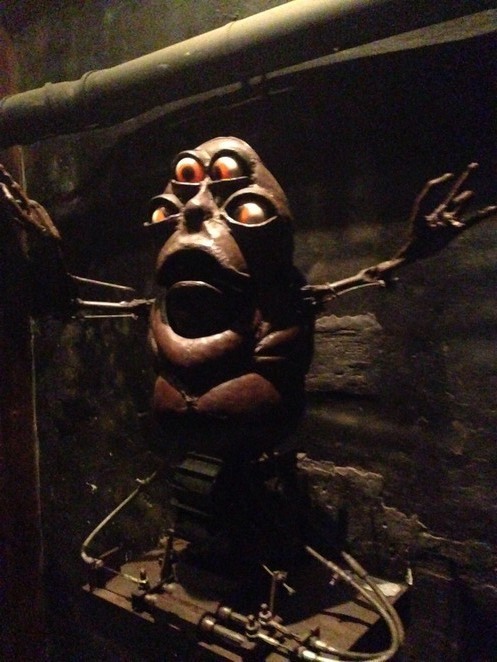 Usually, animatronics and monsters frighten the life out of me, but with Monsterkabinett I was pleasantly surprised. Tucked away in a graffitied courtyard by Hackescher Markt, we were not sure what to expect when we arrived. Surrounded by bars, indie art galleries and even a cinema, the Monsterkabinett installation should feel out of place, but it doesn't. In Berlin, it fits right in. We were guided around the installation, greeting each robotic creature as though it were an otherworldly safari. We danced with a disco-loving monster, were entertained by a pirouetting duck-like creature, and even met a mechanical spider who behaved like a domestic cat! I loved how enthusiastic our guide was, and although I was expecting to feel uneasy with the monsters I ended up finding them captivating and somewhat comical. I was engrossed in their stories and personalities, and this is a testament to the organisers and artists who created this menagerie. 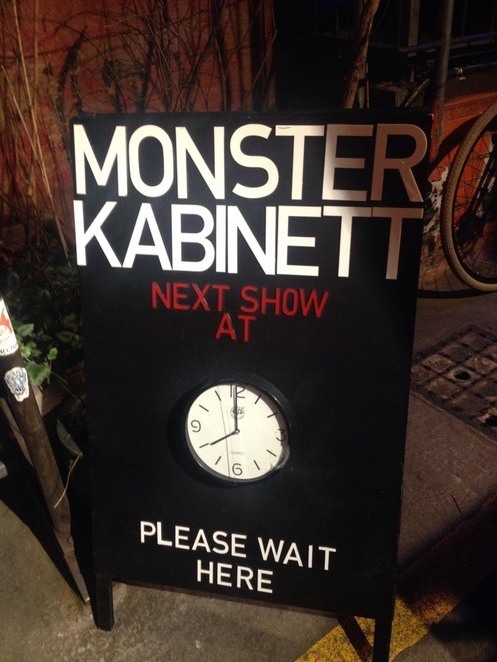 Monsterkabinett isn't suitable for those who are affected by loud noises and flashing lights, but for those who enjoy the strange and other-worldly, I highly recommend a visit. Monsterkabinett is the brainchild of Dead Chickens, a Berlin arts collective specialising in the weird and wonderful. Enjoy your exploring, Eleanor - well done on the milestone!